One more person, who had suffered burn injuries in explosion at an NTPC plant in Rae Bareili died at Safdarjung hospital. 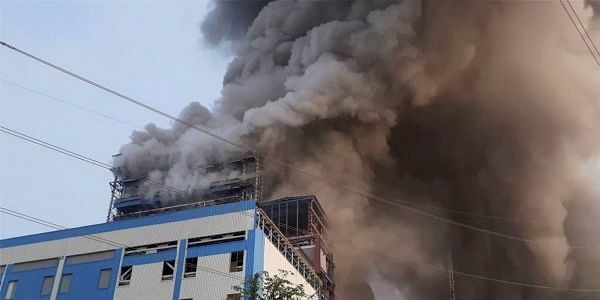 NEW DELHI: One more person, who had suffered burn injuries in the boiler explosion at an NTPC plant in Rae Bareili, died at Safdarjung hospital here this morning, the hospital's medical superintendent Dr Rajendra Sharma said. With this, the toll in NTPC's Unchahar plant accident has climbed to 34, making it the country's worst industrial disaster in the last eight years. Chander Pratap (22) had suffered 80 per cent burn injuries in the explosion and died this morning, Dr Sharma said, adding 10 injured people are still admitted at the burn ICU of the Central government-run hospital. Yesterday, a 40-year-old man, who had 90 per cent burn injuries and was brought to Safdarjung Hospital in a very critical condition, had died. Six injured people, a majority of them with extreme facial burns, were flown in to the national capital on November 3 and were admitted to the burn department of the AIIMS trauma centre. "All of them have been admitted to the burn department of the AIIMS trauma centre. One of them has 60 per cent burns while others have burn injuries ranging between 25 and 50 per cent," a senior doctor at the AIIMS had said. A massive explosion ripped a boiler at the state-run power giant NTPC's Unchahar plant in Uttar Pradesh's Rae Bareli district On November 1.